Calling all Lumberjacks and Lumberjills!! It's time for another great Cub Scout Adventure. Cubs and their families will get to spend a weekend full of fun in the great outdoors. Cub World comes to life with archery, B.B. shooting, and an Ultimate Lumberjack competition on Saturday! You can camp both Friday and Saturday nights if you like. 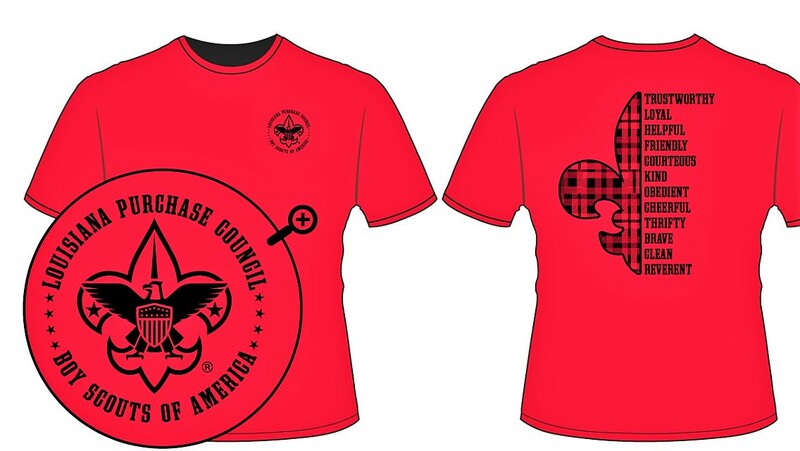 The 1st adult and Cub Scout cost is $55 (includes 1 t-shirt and 1 patch). In order to receive the t-shirt that comes with this registration, you must be registered and paid by Thursday, February 28th. Registration will then remain open through Wednesday, March 6th but will not include the t-shirt. Each additional Cub Scout or sibling that will be participating is $10 each and fee includes a patch. Age guidelines for siblings will be equivalent to the rules for Scouts of that age. (For example, any siblings in Kindergarten will follow the activity guidelines of our Lion Cubs). Additional t-shirts are $12 (youth small through adult XL) and $14 for (adult 2Xl, 3XL). Extra patches are $3. Extra t-shirts and patches will be available for order through Thursday, February 28th. No food will be provided. Please plan accordingly A small concession stand with snacks/drinks/and Scouting gear will be available during the day on Saturday. And during registration, you have the option to purchase a Lumberjack Breakfast for Sunday morning which includes pancake and sausage. Price is $3 per person. Also, Troop 45 will be offering a hamburger plate lunch meal on Saturday for $6. Although, it will ask you during registration if you think that you would be interested in that so Troop can get a food count, you actually purchase the plates at the event. So bring some cash for that if you would like to take advantage of that opportunity. On Friday, the camp will open to begin campsite set up at 3:30 p.m. Check in will begin on Friday at 6:00 p.m. at the Rainforest Pavilion. CAMPSITE DRIVE THROUGH WILL END AT SUNDOWN. For all participants safety, you WILL NOT be allowed to drive through the campsites after dark. PLEASE PLAN ACCORDINGLY. Saturday check in will begin at 8:00 a.m. and the opening ceremony will be at 9:00 a.m. (at the flagpole by the treehouses) with activities beginning at 9:30 a.m. T-shirts will be available for pick up at the Trading Post (which will be under the big treehouse in Northwest Field) after the opening ceremony. **Please note that if you pay online for your registration you will be assessed a small convenience fee. If you do not want to pay online, hit pay by mail option on payment screen and hit purchase screen. In any case, must press purchase to get registration to save. All payments must be received by the Thursday before the event. Event will be held regardless of weather. Refunds only with doctor's note.